Home /Why Should You Choose Laravel For Your Next Web Project? While writing a web application in PHP, you have the option to choose from a wide range of PHP frameworks. The usage statistics posted on several websites suggest that Laravel is currently more popular than other PHP frameworks. The smarter web developers will never try to choose a PHP framework based on its popularity or market share. As an open source PHP framework, Laravel helps you to curtail web application development cost. It further accelerates custom web application development by providing a number of robust features and tools. At the same time, Laravel has been evolving consistently to meet the emerging trends in web development. You must understand the important features and tools provided by Laravel to decide if the PHP framework meets your project needs. In the month of September of the year 2005 Laravel 5.5 was released with an array of new features like resource classes, automatic package discovery, time-based job attempts, on-demand notifications and new frontend preset options. 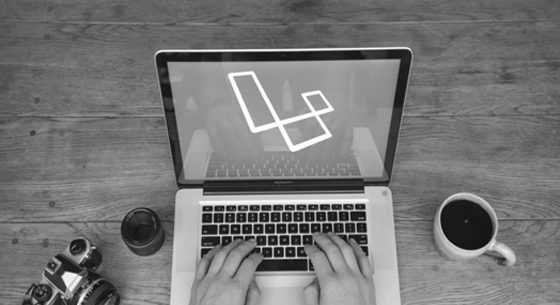 While using Laravel, you can enhance the web application’s functionality and user experience by using third-party packages. Laravel further helps you to manage the external packages efficiently through a robust dependency management tool like Composer. The Composer will help you to set up Laravel projects without downloading zip files and cloning Github packages. You even have the option to make changes to the composer.json file to install the required packages quickly. The syntax rules of Laravel are both simple and easy-to-understand. You can learn the syntax of Laravel without putting extra time and effort. The syntax rules will make it easier for you to maintain and update the Laravel application by writing clean code. Also, the syntax of Laravel enables you to focus on a web application’s functionality and performance instead of its source code. As Laravel supports model-view-controller (MVC) programming paradigm, you can develop complex web applications rapidly by keeping their user interface and business logic layers separate. At the same time, the Blade template engine will help you compile all views into PHP code, include PHP code in the views, and cache the PHP code till the views remain unchanged. You can even take advantage of Blade template engine to display data and extend layouts without affecting the Laravel application’s performance. In addition to simplifying web application development, Laravel facilitates web service development by supporting RESTful routing. You can use the PHP framework to build web services based on REST architecture. The feature enables you to make the web application interact with other applications and services through an open protocol like HTTP. Further, you can simplify web services development by leveraging HTTP methods like GET, POST, PUT and DELETE. While using Laravel, you can perform unit testing with PHPUnit. PHPUnit makes it easier for you to test specific features or functionalities of the web application by performing unit testing throughout the development process. At the same time, Laravel enables you to perform unit testing simply by writing test cases and defining custom test methods. Hence, you can write and execute test cases easily according to specific testing requirements. The authentication library provided by Laravel helps you to keep the web applications secure by implementing a variety of authentication. You can even control and manage individual authentication services simply by making changes to the authentication configuration file. Also, you can avail the security features provided by the authentication library to encrypt data, create login pages, and prevent cross-site request forgery (CSRF). The latest version of Laravel simplifies API development by resource classes. While writing APIs, you can leverage the resource classes to link Eloquent models and JSON requests without creating an additional transformation layer. The resource classes further enable you to convert models and model collections into JSON without requiring an additional transformation layer. Laravel 5.5 allows you to send on-demand notifications to individuals who are accessing the web application without registration. These individuals normally access the web application without signing in as users.